About In The Beginning MinistriesWe teach the message of Creation from God's Word in the local church. In the Beginning was established to teach the message of Creation from God's Word in the local church. We share the inerrant Word of God boldly and humbly to help others better understand the Bible in general and more specifically the creation message. We strive to provide foundational and defendable knowledge for the saved and salvational information for those seeking God. Pastor Bill Peters has a heart for ministry and for teaching the truth of God's word to those he encounters. In past years, Pastor Bill has taught the creation message from Alta Loma, California to Budapest, Hungary. He has taught Junior High aged students through senior adults. The greatest victory has been the dozens of lives given to Christ as a result of his message. Pastor Bill Peters served as the Interim Pastor at First Southern Baptist Church in Joshua Tree for more than a year, preparing them for the man who is now their pastor. 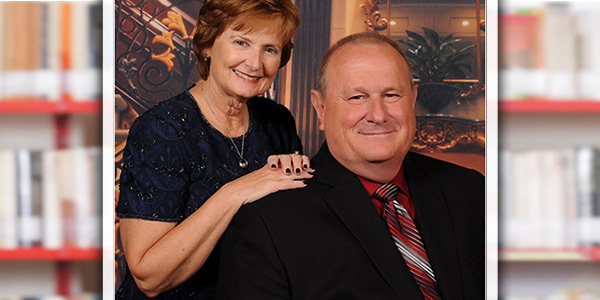 He serves the Inland Empire Southern Baptist Association as a potential Interim Pastor for other churches as they have need. He also serves as a Teaching Pastor for the Community Full Gospel Church in San Diego.